*If you would like to apply for this tour outside the available dates, we can offer the Snow Monkey & Snow Fun tour on private basis. The tour starts at 9:35 at Nagano Station from where you will be taken to the Jigokudani Monkey Park. There you get to see the Japanese macaques bathing in hot springs, frolicking around the park, and cuddling each other to stay warm. Our guide will tell you interesting facts about the park and the snow monkeys while you stroll around. After having spent some time with the snow monkeys, we head for lunch at the restaurant nearby the Snow Monkey Park. After having enjoyed a well-deserved lunch, we will get ready for the snow part of the tour. We will head all the way up to one of the ski resorts of Shiga Kogen, the biggest ski area in Japan. This mountainous area was one of the scenes for the 1998 Winter Olympics and every year a huge amount of snow comes falling down from the heavens and makes for an amazing scenery. We will take you to the snow activity slope where you can enjoy playing around in the snow. 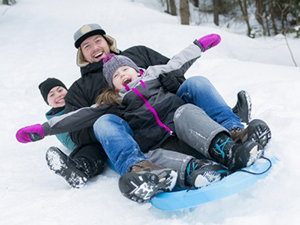 There are a great many tools you can use for having fun in the snow at the park like snow sledges, snow-scooters, snow-bikes, and many others. Those who have no experience ski/snowboarding have plenty of things to do on the ski slope. After having fun on the slope, you can then ride a ski lift to go up the ski slope. You can enjoy viewing panoramic scenery of the entire northern Nagano area. 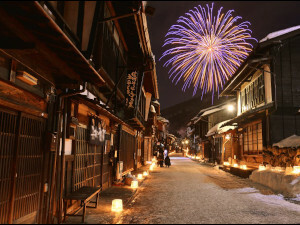 This tour will give you the highlights of Japanese winter. Join us on this snowy adventure! Meet up with the guide at Nagano Station. 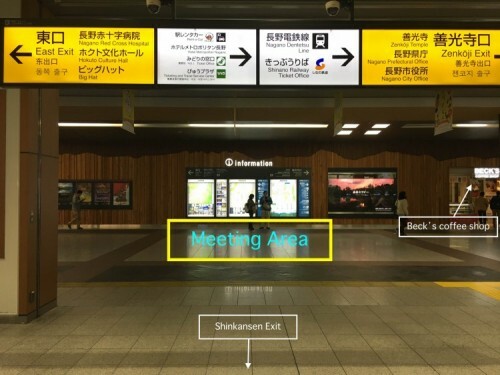 The meeting point is across from the Shinkansen exit/entrance under the Information Board. Our guide will be there by 9:20. Welcome to the Snow Monkey area! We will get to Yudanaka from where we will head to the Snow Monkey Park. After a 30 minute walk through a beautiful forest trail we will have arrived at the Snow Monkey Park. Arrival to the Snow Monkey Park, enjoy Japanese wild macaques bathing in onsen or frolicking around the park. Have lunch nearby the Snow Monkey Park. 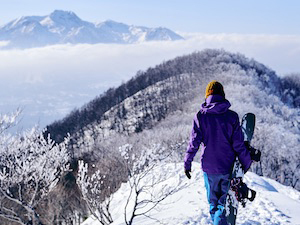 Leave the lunch restaurant and go up to the snow-covered mountains of Shiga Kogen highlands. Arrival at the ski resort. After preparations, you can enjoy your time with various snow fun tools to go down the slope and play with fresh snow! Leave the snow fun area and then take a ski lift to go up the mountain. 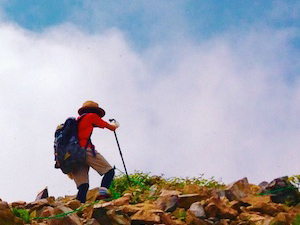 Enjoy viewing a mountainous scenery of Nagano and take some extra photos. The end of snow activity. Prep for departure. Arrive back to Nagano Station. The temperature of winter months in Shiga Kogen is cold and can be minus 5 – 10 degree. Please be dressed in warm, waterproof clothing and boots for snow activities. There are rentals for snow outfits (snow jackets, pants, snow boots) available for ¥500 each in our stock. Please note that there is limited availability for snow outfits, so if you have waterproof, warm clothes fit for snow activities, please bring these with you on the day of the tour. There are a few days in the year that the monkeys might not come down to the park. In such case we will provide an alternative activity. The tour application deadline is 1 day before the tour date at 17:00. What time of the bullet train should I ride to arrive in Nagano on time? What time does the bullet train depart back to Tokyo after the tour? * You can still take 07:52 – 09:30 train since JR Nagano Station isn’t big at all and there is only one Shinkansen ticket exit. The tour meet-up is just after the Shinkansen ticket exit so please come straight up to there. What is the payment procedure after I submit a booking request? Once your booking request is confirmed on our end, we will send an electric invoice to the email address you submit in the reservation form. Once you have received the email, please click on the inserted link and complete payment either via credit card or Paypal. I am staying in Yudanaka/Shibu/Kanbayashi, can I join the tour? 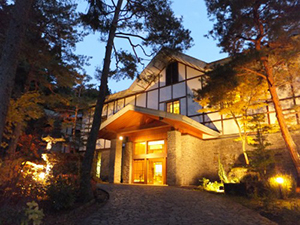 For guests staying in Yudanaka Onsen and Shibu Onsen or Kanbayashi Onsen, it is possible to join the tour in those areas rather than traveling to JR Nagano Station. 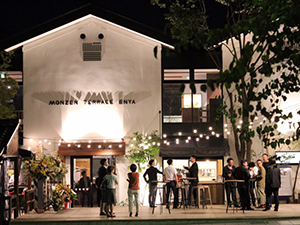 Guests staying in Yudanaka and Shibu can meet the tour at Yudanaka Station while guests staying in Kanbayashi Onsen can meet the tour at Enza Cafe in Kanbayashi. This will change the tour start time. Please let us know at the time of booking if you would like to arrange one of these meeting points.